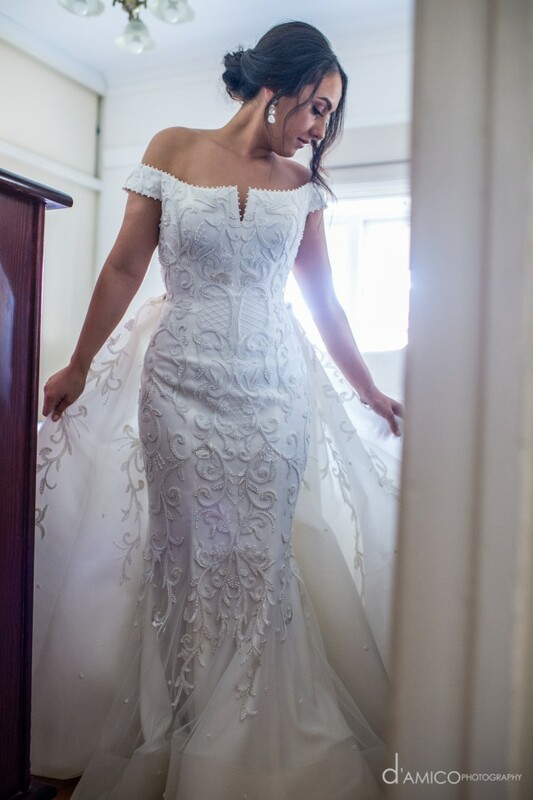 This wedding dress was custom made for my special day by Steven Khalil and I felt like an absolute princess wearing it! The bodice is made completely out of pearls and is extremely detailed. It is extremely slimming and is lined and corseted, with an in-built bra. The train is detachable (and is also quite heavy!) and makes for the most absolutely stunning entrance and photos. It doesn't come completely off the sides like the regular detachable trains. I requested it come more from the back, so that it looked as though it was part of the dress itself and when I removed it it definitely made for a surprise factor! I'm happy to answer any questions. Sad to see my beautiful dress go, but I would rather allow another bride to feel like a queen in it than have it sitting in a box forever!